Series titles are coming out on top this month! Adventure with Percy Jackson and his mythical crew, Geronimo Stilton and Andy and Terry with their tree house building skills! Hey Kids! Write a review – win prizes. It’s Easy Peasy. 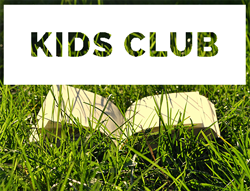 Check out the library Kids’ Club – it’s an online place where you can find out what other kids have been reading and what they think of the books, and where you can write your own reviews. But did you know that every person that has written those reviews received prizes for them? You can too! Each review you write earns you prizes that you can collect from your library. It’s fun, easy and free. Click over to the Kids’ Club webpage to get started. How does earning prizes for writing book reviews sound? You read that correctly! All you have to do is grab a book, read it, go to our Kids’ Club webpage, write a review of the book, and click on submit. Your review will be published online for the whole world to see. Even better – you will earn a prize after writing your first 2 reviews, and then for every 5th review from then on. Really thoughtful reviews might be picked to win extra cool prizes. We’ll send you an email when you’ve earned a prize and let you know when it’ ready to be picked up from your local library. If you’re stuck for something cool to read, why not have a look though all the recently written reviews? These are reviews written by kids, for kids, and about kids books. So you can really find out what people your age think about them. Give Kids’ Club a go – it’s really fun. We all know you love to win prizes, and here’s a really simple way to do it – write a Kids’ Club review! All you have to do is read something, write a review about it, and you’ll automatically win prizes. The reviews are published online for the whole world to see too -cool! You’ll get a prize after writing your first 2 reviews, and then after every 5th review from that point on. 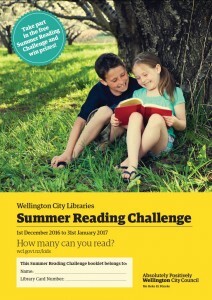 We’ll send you an email when you’re due a prize, which are available to pick up from your local Wellington City Library. We also have extra special prizes for thoughtful and well written reviews. So what are you waiting for? Get reading, get reviewing and start winning! Love reading? Love winning prizes? Then you’ll love Kids’ Club! Kids’ Club is simple – you don’t have to join or register, it’s free, and anyone aged between 5-12 years old with their own Wellington City Libraries card can do it. All you have to do is read, review and WIN! REVIEW: write a review, whcih will be published on the reviews page of this Kids Blog for everyone in the world to find and comment on. WIN: you automatically win prizes for your awesome reviews. Any reviews that are particularly thoughtful or inspiring may also win extra special prizes and go on the Kids home page. Not sure what to read? Why not check out the reviews that other kids have written, and then write your own review of it. If you like (or disagree) with someone’s opinion, then feel free to write a comment on their review (you can do this by clicking on the green ‘comments’ link at the bottom of each review on the blog). Have you heard of our online book club for kids? It’s really simple to join in. All you need to do is write reviews of the books you are reading and you’ll automatically win prizes for your reviews. You’ll get a prize after your first 2 reviews, then every 5th review from then on. There are extra cool prizes saved for those who write thoughtful and outstanding reviews. Have you ever had anything published online before? All reviews are published on our website for everyone in the world to see, and we think that’s pretty cool. We’ve even had some authors commenting on the reviews written about their books. To join in you have to be aged between 5 and 12 years old and have your own Wellington City Library card. You can find the Kids’ Club by clicking on the logo on the right-hand side of this blog. It was about a child\teenager meeting a small, furry kitten. A magic kitten. His name is Prince Flame. Flame’s uncle’s spies are looking for Flame so that his uncle Ebony can take over Flame’s hometown and get the Lion Throne! Lion Throne I hear you say? That is because Flame is a lion DISGUISED as a kitten. I recommend this book to children at the age of 7 to 10. This Book is very interesting. I don’t read books too often, but this book got my attention and I really enjoyed it! The best bit was when the Queen met Sophie and the B.F.G. I don’t think there was a bad part because it was a really AWESOME book. This book can be read and enjoyed by everyone, young and old. Even if you do not like reading books, give this one a try and I promise you that you will really enjoy it! 4 Stars.